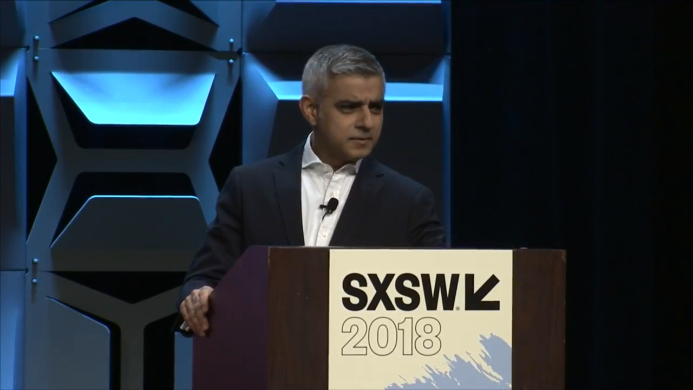 Adding to the wave of criticism being levied on social networks recently for the way in which they allow divisive messages and extreme ideas to circulate throughout their communities, London Mayor Sadiq Khan took to the stage at the SXSW Festival in Austin Texas yesterday to throw his own hat into the ring, so to speak. Khan spoke out during his keynote speech against social media companies acting in the name of profit, rather than social good, accusing them of empowering those with divisive ideas through widespread inaction. Particular points of criticism included the way in which posts on these networks can be used to isolate, divide, and actively discourage engagement and/or interaction with the physical world and individuals around us. “What we need to see is a stronger duty of care so that social media platforms can live up to their promise of being places that connect, unify and democratise the sharing of information and be places where everyone feels valued and welcome.” said Khan. He went on to warn that if these networks fail to act appropriately of their own accord, more stringent regulations may be brought into effect. The mayor also spoke about the rise of sharing economy companies, likely inspired by the highly publicised battle between Uber and the City of London’s taxi drivers. He suggested that such companies may be guilty of pursuing market share in favour of providing such basics as a fair wage and decent working conditions.